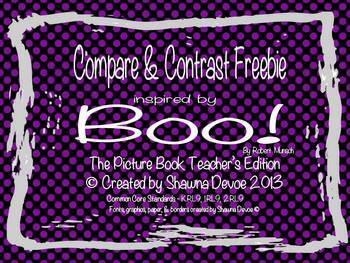 This freebie was created to use with the book Boo! by Robert Munsch. 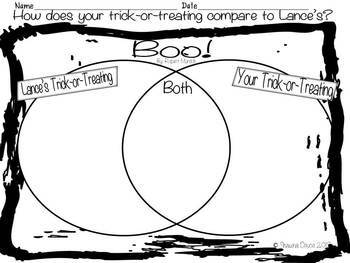 After reading the book students will compare and contrast how they trick or treat to how Lance trick or treats. 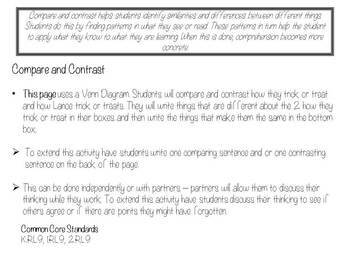 If you would like more information on this book and many others visit my blog The Picture Book Teacher's Edition. **If you have problems downloading this or any product, please make sure you have a current version of Adobe Acrobat Reader.